Hi everyone! Buying your first horse is a really exciting time for you and your family but it’s important not to get carried away and end up buying on impulse, only to regret it a few months down the line. A horse is a costly investment and it’s not just the initial expense of buying it that you need to take into account. Since I believe this is a very important topic, I got some advice from an interview with Russel of Horseseller in Australia. They recently relaunched their site and I love it. I suggest you check out the huge list of horses for sale on horseseller.com.au. They also have some good sections for equestrian gear too. This is a common mistake among novice riders and those new to horse ownership. They go for an untrained horse because of the lower price, thinking it will be easy to train the horse further down the line. Unfortunately this is not necessarily the case. Employing an expert trainer will end up costing more in the long run anyway and there is no guarantee the horse will become reliable. Training it yourself could become dangerous if you are not equipped for the role. Also, training could take months meaning you can’t ride or enjoy your horse straight away. Always go for a trained horse which you can start riding straight away – that way you can build up your riding experience and your bond with your animal, from the start, making riding and horse ownership an enjoyable experience from the very beginning. Many beginners think they need to go for a young horse because it will live longer and be of more value to them throughout their riding life. However, generally older horses are far easier for new riders to handle. Older horses are much easier for beginners to ride and are a lot easier to train – they can also live a long and healthy life so it’s important not to overlook an older animal as a first horse. 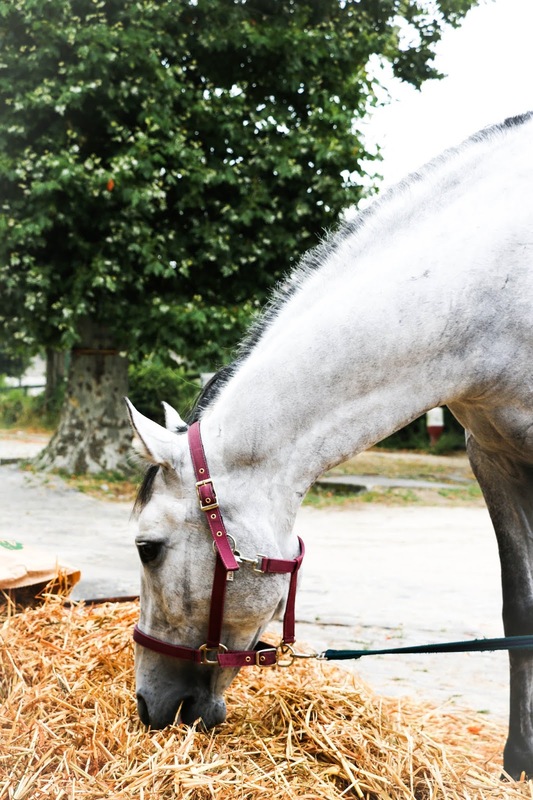 Starting out with a steady, reliable horse will help to boost your confidence as a new rider. If you are buying a first horse for a child or teenager then it’s even more important to look at an older, steady, trained horse rather than one that is young and inexperienced. Many people make the mistake of thinking they need a young horse to last longer, however it can be unsafe. Mixing an inexperienced young horse with an inexperienced young rider can be a potentially lethal combination. It is far better to go for an older steady horse who will know how to cope with younger riders and how to keep them safe for you. As someone new to horse ownership, going to a horse auction is not the best place to find your first horse. There are many tricks which can be undertaken to make a horse seem good on auction day and it will take an expert eye to spot the good from the bad. If you are buying a first horse, unless you are going with a complete horse expert, avoid the horse auctions as it could end up being a very costly mistake. When buying a horse it’s important to take your time, shop around and never buy on impulse. Don’t buy the first horse you see – you need to make comparisons until you are completely sure you have found the right horse for you. It’s important to spend time with any horse you are interested in, handle it and ride it – never buy a horse that looks great on paper but that you haven’t seen. Take your time to make sure you end up with a horse that is everything you were looking for rather than a costly error. Just as you should never buy a car without test driving it, you should never buy a horse without handling it and riding it first. Make sure the horse seems friendly and confident when you approach it and do all of the activities you would expect to be doing, like tacking up, catching him in the field, grooming him, so you can assess how he reacts to everything. There are many common mistakes which people make when buying a first horse but hopefully after reading this quick guide, you can avoid them for yourself and take your time to make sure the first horse you buy is a great addition to your family and gives you many pleasurable riding days in the future! !